Hi everyone! Today is the last day of highlights before the November Mama Elephant release goes up on the website! The set for today is called Cup of Wishes! As the name implies, this set is full of tea (or coffee:) cup images plus a bunch of other little detail stamps. You will love it! If you saw the sneak peeks of this set, you've already seen this sentiment:) It is meant to go with the teacups in the set, but I thought I'd pair it up with a die cut cozy cabin! I used my Silhouette for this one, but you could use any die cut house with a chimney:) Behind the window I put a little piece of cardstock blended with orange and yellow. Can't you just picture the cozy fire inside? 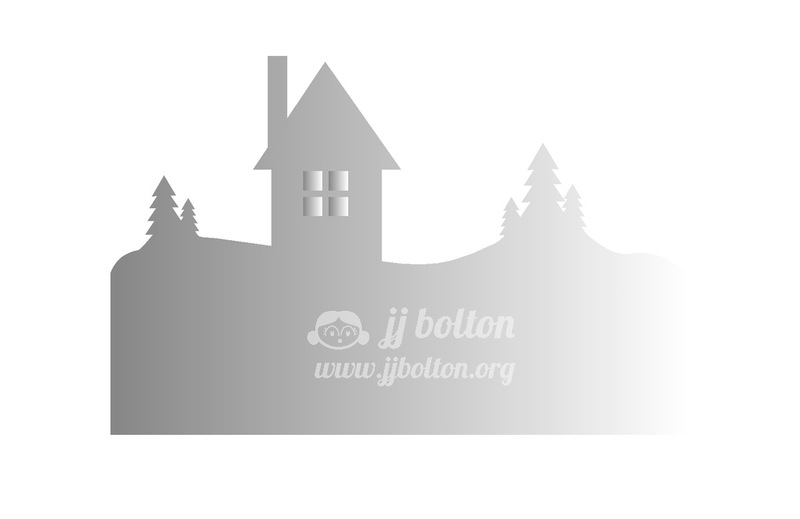 If you'd like to try this card out yourself, you can pick up this Silhouette file here. 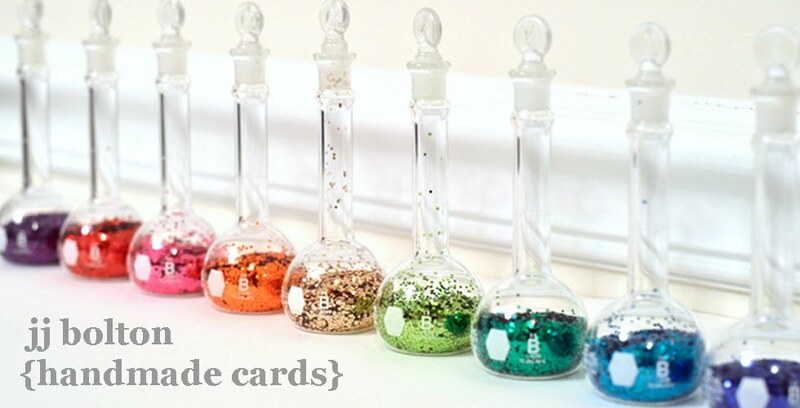 Before I go, I want to share a little teacup tag! 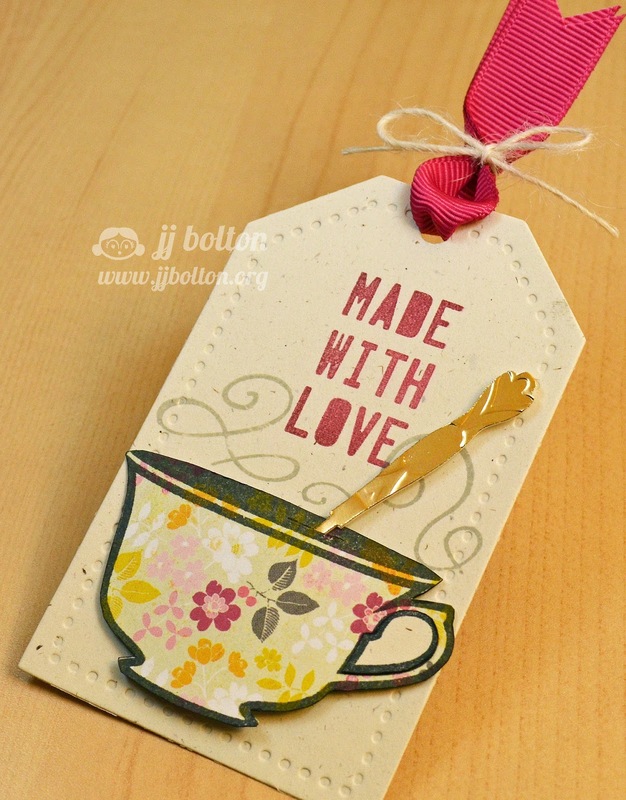 For this tag, I stamped the teacup onto patterned paper (can you believe it?) and fussy cut it out. The wafts of steam behind the cup are from the same sentiment stamp I used above only masked this time. The sentiment is from a set we highlighted earlier this week, No Peeking. As a final touch, I die cut a spoon in gold foil paper and debossed it with a flourishy impression plate to give it a engraved look. The handle of the spoon is slipped through a little cut in the top of the cup as if it was in the tea itself. I hope you've found some inspiration this week! THANK YOU so much for stopping by! Tomorrow we will be highlighting the last of the November release! Go check out the rest of the Mama Elephant gals to see their wonderful On Target projects! What a beautiful card and tag!! I love your file --- wish I had a silhouette! OMG!!!!!!!!!!!!! that die cut winter scene is just amazing! and i LOVE that the sentiment comes out of the chimney!!!! eek! and the spoon on your tag - come on!! genius and so gorgeous!! just wow! Gorgeous JJ! It really looks like there is a light in the window on the card, and I love the sparkly snow, and the die cut spoon on the tag is fantastic! Such a beautiful card. I love how cozy that yellow makes the house looks, and perfect smoke raising out of the chimney. How gorgeous! I wish I had a Silhouette to make this card--I'll have to adapt it--I love how the sentiment's "smoke" works for the scene! Gorgeous, Gorgeous, Gorgeous! So simple and I LOVE the colors! This is so clever!!! I love how you used the sentiment for the smoke coming from the chimney! And the patterned teacup on the tag is adorable too! Thanks for sharing the cutting file! you make me want a sillouette like no one else. this awesome card reminds me of the hotel commercial "we'll leave a light on for ya"
love the winter scene and how the house has warm welcoming lights on. The spoon handle looks so real on your tag! Girl this card is AMAZING!!!! swoon... these are both fabulous! Gorgeous card and tag! Love that beautiful card with the dark blue cardstock as the backdrop for that great scene! Yummy! And clever use of the sentiment stamp! Love the elegant card and cute, colorful tag! Great job! that tag is so cute! I love the spoon handle!! Love love love this card! So amazing and simple! Very clever using it with a chimney! Lovely card and tag JJ, so festive. JJ, your card is SO beautiful! Love the fun accents on the tag, too! Beautiful card! Loving the snowy landscape! Gorgeous card and tag! I love that little tea tag especially! Love this as smoke from the chimney! Very cute idea. What a beautiful winter card with the die cut and Warm Wishes stamp! And that little tag is adorable! I can just feel the warmth of the fire in that cozy little house and the glitter snow is gorgeous! Your fussy cut teacup is perfect especially inside the handle (I hate cutting those enclosed parts). And that spoon is fabulous! I love your projects. I love the dark blue of the card with the white. Thanks so much for providing details because I was wondering how you did the house and the spoon. That spoon is so lifelike. Thanks for sharing. I just love how you made it look like the house is lit up in the snow! So pretty! 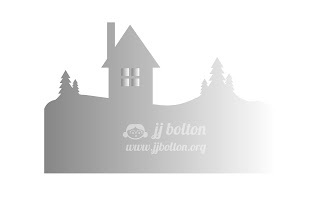 Perfect sentiment for this cozy cabin and love the spoon on your tag. The word "WARM" is sooooooo BEAUTIFUL !! Love your little winter scene you've done here with your silhouette! Great glittering too! super love your card and tag...lovin' this new set! You are rockin' that Silhouette, JJ. Just love your use of that uber-cool sentiment at smoke from a chimney. And your colors are so elegant. 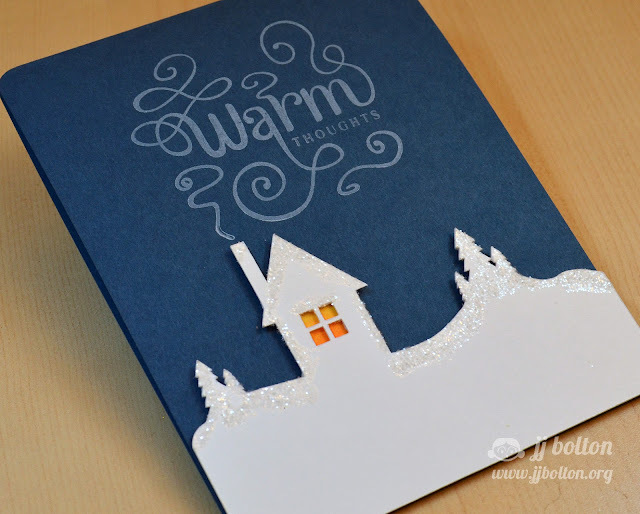 I really love your card with the snowy scene and backlit house - so calming and elegant! So stylish and BEAUTIFUL! - To me a typical JJ card!! LOVE it! Hi JJ! I love how the sentiment looks like a swirly smokey message from that sweet cozy house nestled under the glittery snow... sigh.... and the embossed spoon in your tea cup - so decadent in gold!! JJ, I just love your card art. It's always so fun, which amazes me, since it's clean and simple. Love your warm and fuzzy card and the amazing cut file! And the tag is so sweet! Can't wait for my ME stamps! You are so ROCKIN' your Cameo!!! What a perfect winter cutting file! Your card is AWESOME and the swirls in the sentiment are wonderful. This is so amazing, the cozy steam coming out of the house is utterly brilliant! Also, wanted to thank you for your kind words of sympathy last week. They really meant a lot to me. Oh my! I just received this stamp set last month and was looking for inspiration and man, oh man! You nailed it. I LOVE your blog!